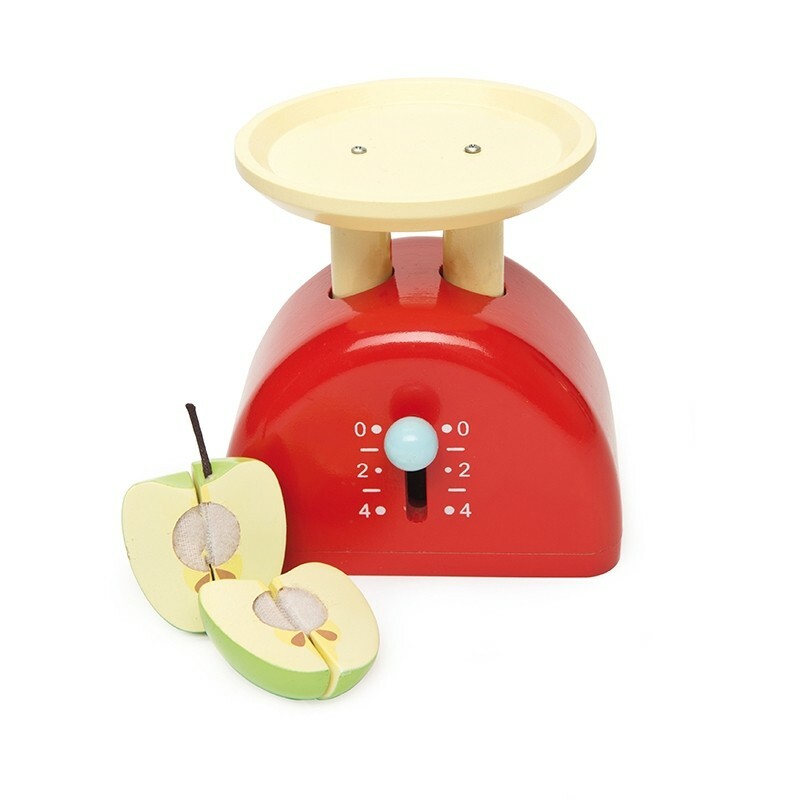 Weigh up your options with the Honeybake Weighing Scales from Le Toy Van. 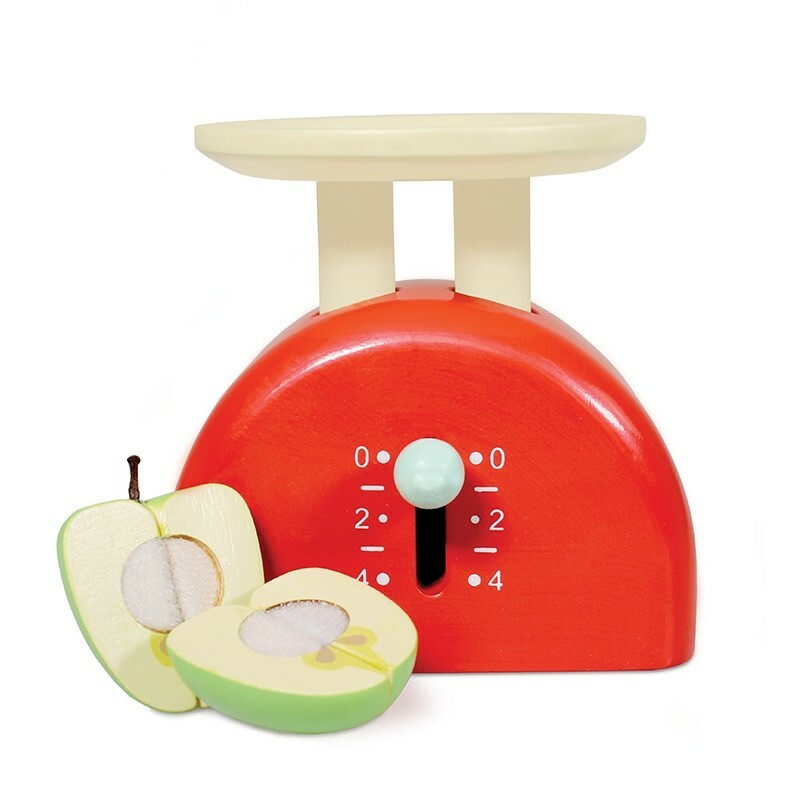 A Brightly painted wooden weighing scales with moving gauge. Comes with an apple (apple with velcro can be quartered).